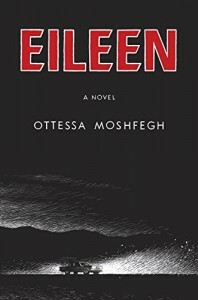 This book made me glad I didn't live in Eileen's house, but other than the horrifying descriptions of her father, and her life, it was pretty dull. The narration meandered on, and on throughout the first half, and I started skimming paragraphs to get to the action, which turned out to be very anti-climatic. I felt like the good part of the story got left behind. The last thirty pages rushed through the scene the entire book had been leading to, and then it was all over. I wanted to know what happened after, and felt the author just ran out of steam. After I read the book (which luckily, is not that long) my first thought was, "Ridiculous."